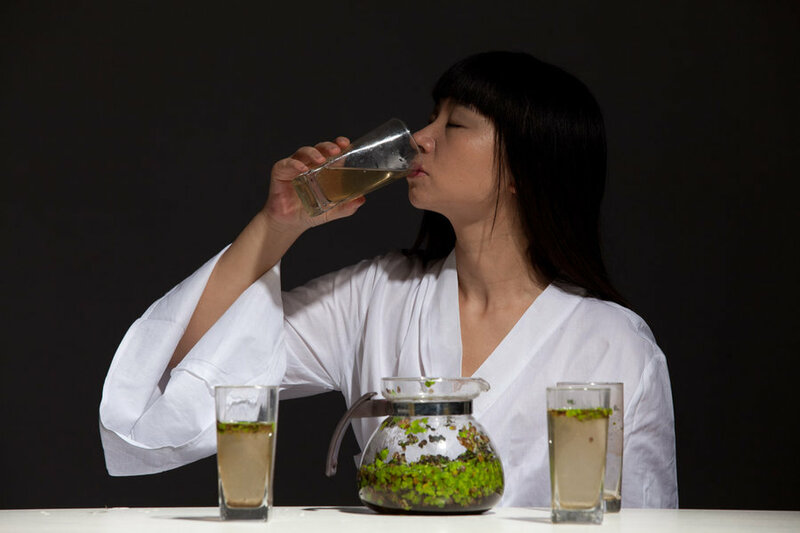 Green tea is a common beverage in China. 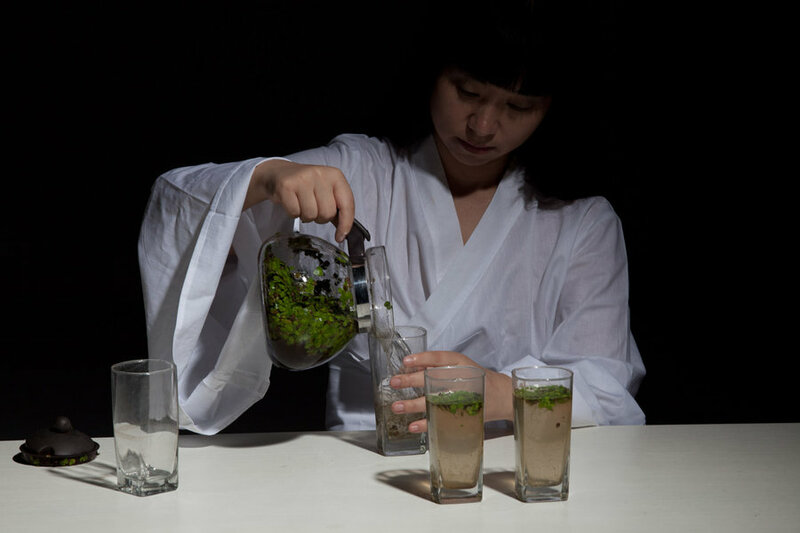 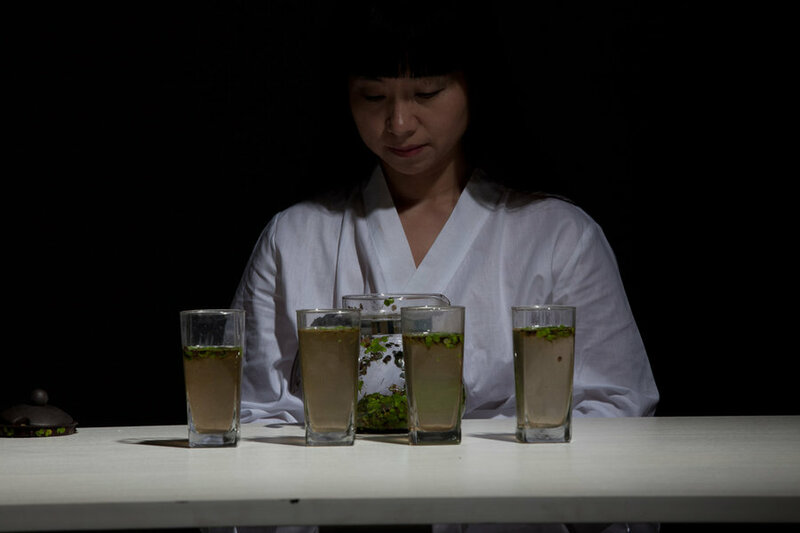 In the performance titled “Green Tea”, Li filled a teapot with water from a river covered with green algae, poured the water into several glasses and drank them all. 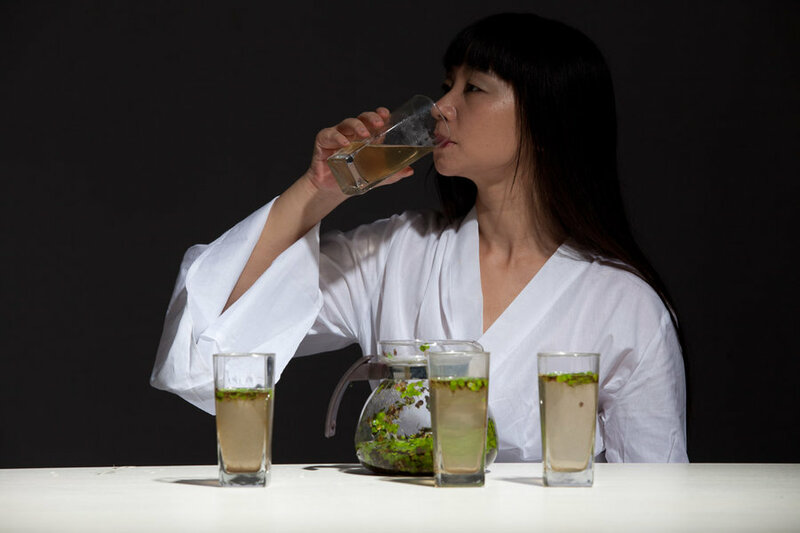 In this case the title is nothing but an irony on reality: the green tea we drink everyday becomes contaminated water with green algae.